Why are the Serbs – whom apart from the Jews were the major victims of the Holocaust during World War 2 – being cast as the perpetrators of genocide while thereal perpetrators of genocide – the Islamofascists loyal to Alija Izetbegovic – are being cast by the corporate media, the US, NATO and EU governments as “the victims”? Why was Naser Oric – the Islamofascist commander of Srebrenica and perpetrator of a massive genocide against Serbian men, women and children in Srebrenica from 1992 to 1995 – given only a 2 year sentence for this monumental crime against humanityand allowed to walk free from NATO’s Scheveningen ICTY prison: the former Nazi SS dungeon for patriotic Dutch resistance fighters against the Germans during World War 2 in The Hague, Holland? 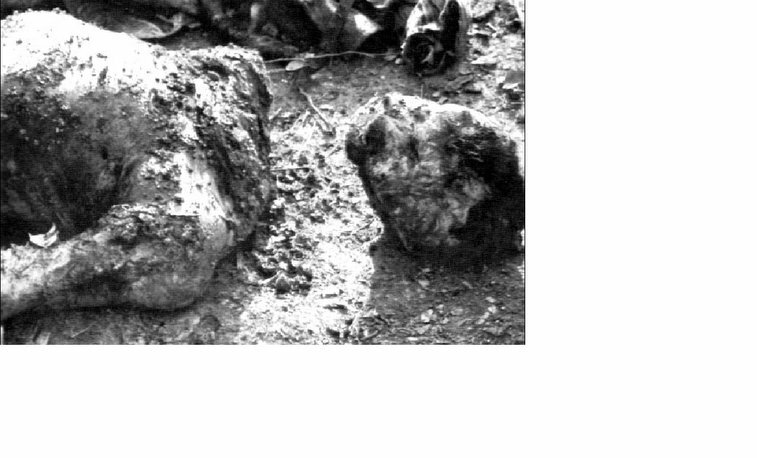 The real Srebrenica Genocide not reported by the corrupt, racist pro-Islamist-Nazi Western corporate-controlled media, was the brutal mass murder – using axes, knives, daggers, sledgehammers, iron bars, flamethrowers and explosives – of 3,870 Serbian elderly men, women and young children in and around the town of Srebrenica and its adjoining towns and villages (Bratunac, Skelani, Milici, et al) as well as the town of Gorazde. By Bill Schiller==========================================================================================================================================================================On a cold and snowy night, I sat in his living room watching a shocking video version of what might have been called Nasir Oric’s Greatest Hits.There were burning houses, dead bodies, severed heads, and people fleeing. Oric grinned throughout, admiring his handiwork.“We ambushed them,” he said when a number of dead Serbs appeared on the screen.The next sequence of dead bodies had been done in by explosives:“We launched those guys to the moon,” he boasted.When footage of a bullet-marked ghost town appeared without any visible bodies, Oric hastened to announce: “We killed 114 Serbs there.” Later there were celebrations, with singers with wobbly voices chanting his praises. iron bars,flamethrowers and explosives – of 3,870 Serbian elderly men, women and young children in and around the town of Srebrenica and its adjoining villages(Bratunac,Skelani,Zvornik,Kravica,Milici et al) as well as the town of Gorazdefrom April 1992 to July 1995 by Alija Izetbegovic’s notorious Islamist Nazi troops: foremost among them being mass murderer and Tuzla brothel owner: Mr. Naser Oric . 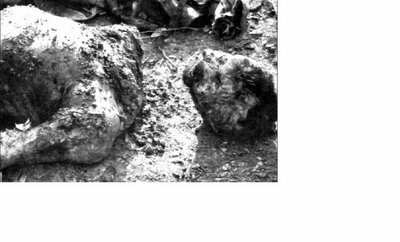 Mr. Naser Oric, in perpetrating these mass slaughters of Serbs was respecting political instructions from Izetbegovic in Sarajevo according to testimony given by the former French UN general in Bosnia, Phillipe Morillon, at the Milosevic “trial” in the NATO owned ICTY at The Hague. Mr. Oric was recently freed by the NATO owned Hague ICTY on Friday, June 30, 2006, after being given a mere 2 year sentence – for murdering 3,870 innocent civilians in and around the Bosnian town of Srebrenica over a 3 year period from April 1992 to July 1995!! 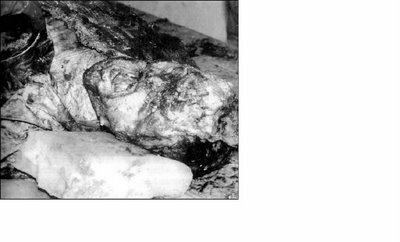 Since Mr. Naser Oric had already served 3 years and they only sentenced him to 2 years, NATO’s ICTY decided to RELEASE this SELF-CONFESSED mass murderer of Serbsimmediately. AN OUTRAGE to the civilized world and a grievous INSULT to the relatives of the families who were all brutally mudered in such a sadistic,primitive, barbaric manner.There is your so-called NATO/EU “Western liberal multi-ethnic democracies committed to humanitarian values” for you, folks – all paid for with your tax dollars. This visit to Tehran occurred a year after his manifesto, the “Islamic Declaration” was re-published in 1990 – it was first published in 1970.So much for the ridiculous reversal ofcause and effect best exemplified by the collossal canard of some pro-Islamist Fascist apologists claiming that [to paraphrase]: “Karadzic’s & Mladic’s ‘brutality’ AFTER the outbreak of war caused the Islamist radicalization of the Izetbegovic (SDA party)Bosnian muslims”. The Serbs suffered terribly from NATO with a nod 4m Yeltsin. very good material here ! Too bad that links to these sites: srpska-mreza.com, srebrenica-report.com, nato-media-lies, don’t work no more, seems like they don’t exist any more… What happened? Some links (sites were hacked) and the contents removed by “our enemies”- some sites were shot down by “the external factor”, even some, for the West (and their stooges) incriminatory, documents simply “disappeared” from the official sites like “www.icty.org”- and some privately ran blogs and sites due to the financial difficulties or just “the human fatigue” voluntarily closed down. During my research work in last decade, I was faced with such interference all the time- Luckily I had the habit of routinely downloading the crucial and rare documents to my external hard drives, preserving them this way. Its so sad how the media is biased and the Serbs are seen as the enemy in media.